Are you a homeowner in the Denver Metro area that needs a professional, reliable, and trust-worthy Denver plumbing company to handle your kitchen plumbing issues? 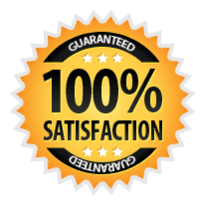 Every job is completed with confidence and backed by our 100% Satisfaction Guarantee, from simple repairs, annual maintenance or a quick tune-up, to larger replacement or installation plumbing projects for your kitchen. The Denver plumbers at SWAN Plumbing, Heating & Air have over 40 years of combined experience and are standing by to resolve any issue you may be having. Or, click here to schedule your kitchen plumbing service online. We can fix any faucet issue from leaks, and low water pressure issues, to complete faucet fixture replacement. Get your faucet repairs done today by one of our expert Denver plumbers! We offer repair, maintenance, replacement & installation kitchen faucet services for homeowners in, and around, Denver. No matter the scope of the issue you are having with your kitchen faucets, our master Denver plumbers are available around the clock to make sure your water is flowing properly! 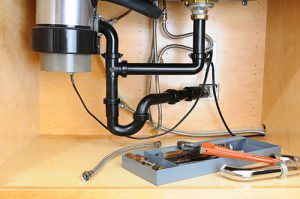 We can fix any garbage disposal problem, from clogs and jams to leaks and draining issues, to full garbage disposal replacement or new garbage disposal installment- our Denver plumbers handle all garbage disposal repair needs! We offer repair, maintenance, replacement & installation services for homeowners in, and around, Denver. Regardless if you have, or want, a continuous feed garbage disposal or a batch feed garbage disposal, our industry certified plumbers are ready to get your kitchen garbage disposal working properly today! Are you having kitchen plumbing issues that you need resolved as soon as possible? Our industry-certified Denver Plumbers are available around the clock, every day, to quickly respond to and resolve all your kitchen plumbing problems!